The creation of a European bond venue is "a constant topic of debate" among Liquidnet members, according to the firm's new head of EMEA operations, who also stated the buy-side only dark pool is targeting greater business from continental Europe. The creation of a European bond venue is “a constant topic of debate” among Liquidnet members, according to the firm’s new head of EMEA operations, who also stated the buy-side only dark pool is targeting greater business from continental Europe. Mark Pumfrey, who was appointed at the end of last year, told theTRADEnews.com there may be an opportunity for Liquidnet to leverage its strengths in equity crossing to the fixed income market. “Both buy- and sell-side firms will need a venue for trading bonds in size. It’s been a constant topic of debate among our members and it’s something we continue to discuss internally, although there are no firm plans yet,” he said. Fixed income trading is undergoing significant change in Europe and the US, with banks expected to relinquish their role as bond liquidity providers as Basel III, the latest set of standards to ensure banks are adequately capitalised, increases the capital required against assets held on a firm’s balance sheet. The impending rules have already seen a rise in bond trading platforms and Liquidnet’s established role within the buy-side community for trading in size would give it significant leverage to compete in this sphere. Pumfrey – formerly head of senior relationship management, EMEA at Bank of America Merrill Lynch – added Liquidnet was also considering the expansion of its US private share trading initiative – a service that offers investors the chance to invest in pre-IPO companies – to Europe. 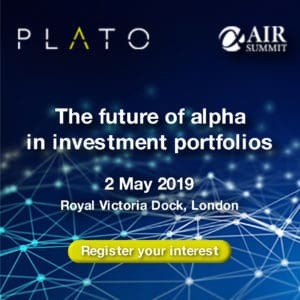 “The buy-side is constantly looking to create more alpha, and one way for them to do this is to invest in stocks before they formally list. Making it easier for buy-side institutions to trade before an IPO by giving them more efficient access to liquidity has been beneficial to our US members. In time we think this will become a more mainstream activity,” he said. While these new initiatives are still under consideration by the firm, Pumfrey stated his immediate goal is to use his existing relationships to expand Liquidnet’s presence in continental Europe. “Continental Europe represents a big opportunity for us because there’s a lack of knowledge about what we do, especially in France and Germany, where our value proposition is not that well understood. 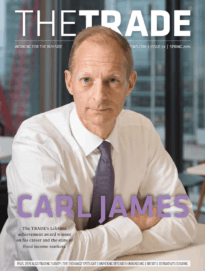 Our aim is to grow continental European trading volumes to around a fifth of overall activity,” he said, adding that the firm would also target member in Holland, Switzerland and Scandinavia. According to figures from LiquidMetrix, a data analysis firm, Liquidnet offered an average price improvement of 99.76 basis points in December 2012, with an average trade size that exceeded €620,000. By comparison, Europe’s largest dark multilateral trading facility, BATS Chi-X Europe’s CXE Dark, offered 4.14 bps in price improvement, with trade sizes averaging €5,555.